Last November we did an article about ExoVista replacement lenses for our Oakley Juliet sunglasses. We got the ExoVista lenses because they were much less expensive than the OEM Oakley ones. Recently, we discovered a maker of Oakley lenses from New Zealand who may be our “go to” source for all our future replacement needs. We discovered Caulfield lenses when we were looking for an affordable set of Ruby Red replacements. The folks at Caulfield said they were currently updating that particular lens. However, they did provide us with sets of Neon Blue and Brown/Pink Gradient to check out until the new Ruby Reds are available. 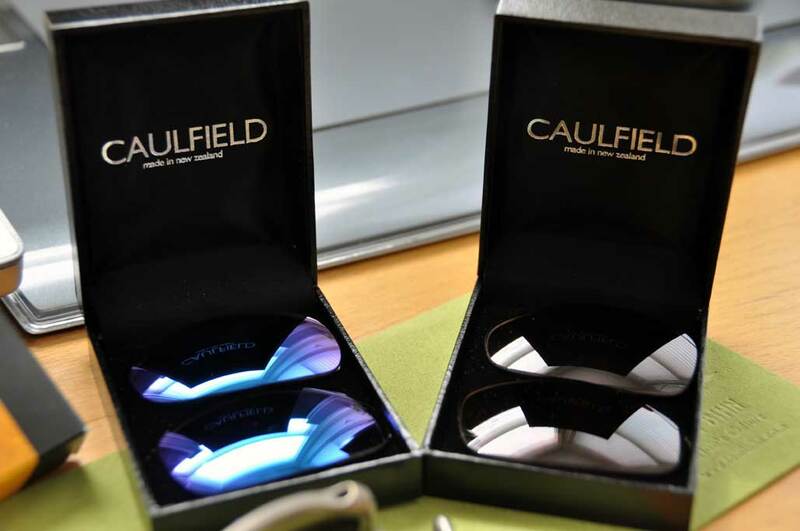 The Caulfields are every bit as sharp and clear as the OEM and ExoVISTA lenses. The edge of the lens is nice and clean. The coating is even. The mirror coating of the Neon Blue Caulfield is higher than that of the OEM, giving the Caulfield a brighter look. They are every bit as good as the other replacement lenses, just a much better value. One of the things we like about owning a pair of Oakely Juliet sunglasses is the number different looks we can create just by changing the lenses. The Caulfields are inexpensive enough that it is possible to own a collection of different color lenses and change them as often as our mood suits us. 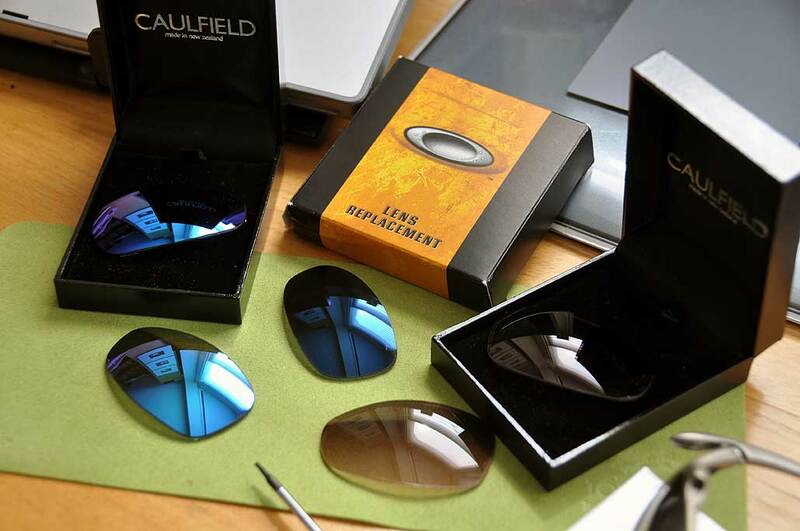 If you are in the market for a set of lenses for your Oakley, Caulfield should be your first (and probably your last) stop.